Find the best deals on security cameras over Black Friday and Cyber Monday 2018 here at Funtober. We will be searching the online and print ads before Thanksgiving weekend for the best savings and posting the discounts here. 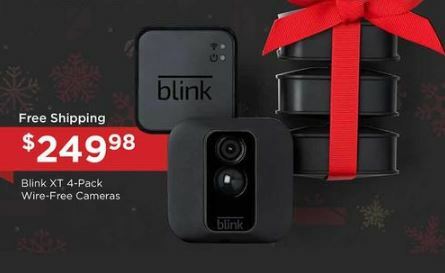 If you are ready to install surveillance equipment in your home, then stop back here during Black Friday 2019. 360 Home Security Cameras: Avoid thieves traveling in the blind spot of your cameras with a well positioned wide-angle lens in your home. Outdoor Security Cameras: There are a number of options for visible or invisible outdoor cameras to tie into your security system. These video surveillance cameras will provide you piece of mind when you are away from your house. Night Vision Cameras: Trouble doesn’t normally occur during the day, does it? So if your camera isn’t able to detect intruders at night, then it could let you down when you need it the most. Buy a night vision camera to have better 24 hour surveillance around your house or apartment. Spy Cameras: Don’t trust the babysitter, cleaning staff or other people coming into your home? Get a hidden camera to monitor the situation and protect your home and family when you are gone. Whether you are looking to install a smart home system, a hidden motion detector camera or a home monitoring system, we will be on the lookout for the best deals for you to buy a new security camera. Video surveillance for your home has become affordable as the price of technology has come down and it is possible to pull up the feed from your camera on your cell phone. 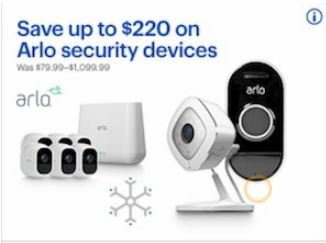 Click Here to Save big on Arlo Pro 2 Security Camera Systems on Amazon for CYBER MONDAY. Click Here to Save 30% on Reolink Home Security Camera System on Amazon for CYBER MONDAY. 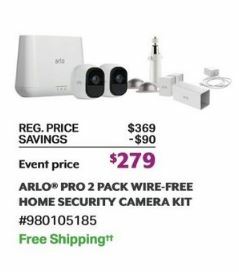 Find all of the Best Buy security camera Black Friday deals here. 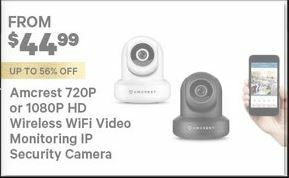 Shop Walmart.com via this link to find the security camera deals. 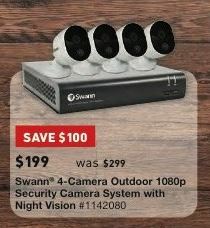 Find the security camera deals at Lowe’s here. 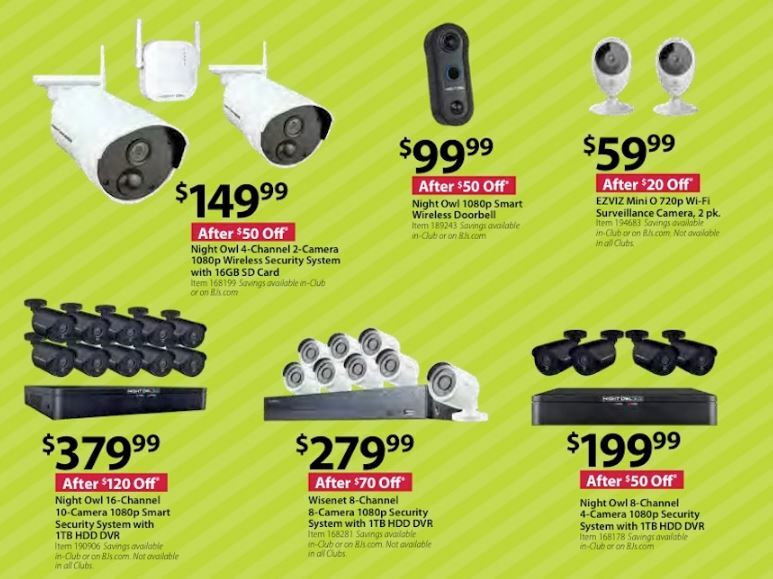 Here are all of the Office Depot security camera deals. Find the Nest cameras online here at Kohl’s. 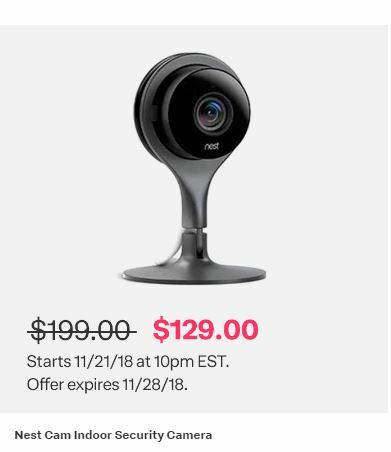 Nest Cam Indoor Security Camera: Kohls will have this Nest camera available as a doorbuster special for $149.99 (regularly priced at $199.99), plus $45 in Kohl’s Cash for your next shopping trip. 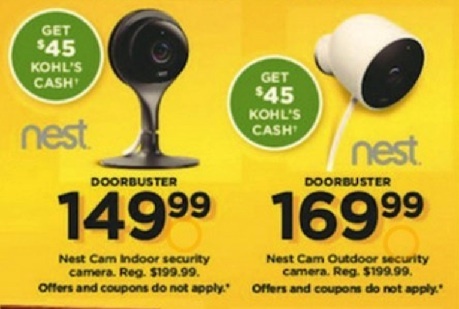 Nest Cam Outdoor Security Camera: Kohls is offering a doorbuster on this item. It will be $169.99 (regularly $199.99) as well as offering $45 in Kohl’s Cash to buyers.